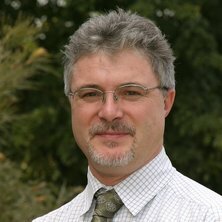 Peter Knights is BMA Chair and Professor and Head of the Division of Mining Engineering within the School of Mechanical and Mining Engineering. From 1996 to 2004 he was employed as an Assistant Professor with the Faculty of Engineering of the Catholic University of Chile, based in Santiago, Chile. He was subsequently named as Associate Professor and Canadian Chair in Mining. Peter holds a Bachelor’s degree in Mechanical Engineering for the University of Melbourne, Australia, a Masters degree in Systems Engineering from the Royal Melbourne Institute of Technology and a Ph.D. in Mining Engineering from McGill University, Canada. For the past twenty-five years Peter’s research work has focussed on maintenance and reliability engineering. He is best known for: promoting the now widespread use of logarithmic scatter plots (also known as jack-knife diagrams) to characterize and prioritize downtime events; for his industry training courses on Root Cause Failure Analysis and for developing pragmatic approaches to RCM. His recent work has focussed on mine data analytics and the reliability and planning issues associated with novel mining systems. He has a number of maintenance publications in prestigious international journals such as the Journal for Quality in Maintenance Engineering and the Journal of Reliability Engineering and System Safety. Mine data analytics (making sense of “big” data). Nehring, M., Knights, P. F., Kizil, M. S. and Hay, E. (2018) IPCC a real alternative. Coal International, 266 4: 28-39. Soofastaei, Ali, Knights, Peter and Kizil, Mehmet (2018). Application of advanced data analytics to improve haul trucks energy efficiency in surface mines. In Martin J. Clifford, Robert K. Perrons, Saleem H. Ali and Tim A. Grice (Ed. ), Extracting innovations: mining, energy, and technological change in the digital age (pp. 163-179) Boca Raton, FL, United States: CRC Press Taylor & Francis Group. Knights, B and Kizil, M.S (2012). An analysis of the SAFEMine Global Positioning System Collision Avoidance System. In Paul Hagan (Ed. ), Mining education Australia: research projects review 2011 (pp. 23-29) Carton, VIC, Australia: The Australasian Institute of Mining and Metallurgy. Kumar, Uday, Knights, Peter and Kuruppu, Mahinda (2011). Mine infrastructure maintenance. In Peter Darling (Ed. ), SME mining engineering handbook 3rd ed. (pp. 825-838) Colorado, USA: Society for Mining, Metallurgy, and Exploration. Shafiee, Shahriar and Knights, Peter (2009). Australian coal driving international development. In Peter Knights and Michael Hood (Ed. ), Coal and the Commonwealth: The greatness of an Australian resource (pp. 77-99) [Brisbane, Qld. ]: University of Queensland. Knights, P. and Hood, M. (2007). CRCMining: Un Modelo para la investigación colaborativa en la industria de minería. In G. Lagos (Ed. ), Innovacion en mineria (pp. 181-192) Santiago, Chile: Ediciones universidad Catolica De Chile. Knights, Peter (2017) Making Data Analytics Work in Mining. The AusIMM Bulletin, . Knights, Peter (2017) Dozers the answer to IPCC Woes. Mining Magazine, . De Francia, Matthew, Soofastaei, Ali, Aminossadati, Saiied, Kizil, Mehmet and Knights, Peter (2015) Filling Up The Tank. Australasian Mining Review, 2 12: 56-57. Adair, L., Soofastaei, A., Aminossadati, S. M., Kizil, M. S. and Knights, P. (2015) Rolling resistance in Haul Truck operations. Australian Mining, 107 6: . Knights, Peter (2015) Conveyors vs Trucks. Queensland Mining & Energy Bulletin, 23 118-121.
van Hest, D. and Knights, P. F. (2015) Economic selection of surface mine haulage options. MEA Journal of Research Project Review, 4 1: 67-72. Soofastaei, A., Aminossadati, S. M., Kizil, M. S. and Knights, P. (2014) Payload variance plays a critical role in the fuel consumption of mining haul trucks. Australian Resources and Investment, 8 4: 64-64. Lucas, T. and Knights, P. (2014) A maturity scale for indigenous employment in the Australian minerals industry. Journal of Research Projects Review, 3 1: 33-37. Little, J., Knights, P. and Topal, E. (2013) Integrated optimization of underground mine design and scheduling. Journal of the Southern African Institute of Mining and Metallurgy, 113 10: 775-785. Classifying dragline swing dependencies using coincident limit graphs. Nehring, M., Topal, E., Kizil, Mehmet S. and Knights, P. (2012) Integrated short- and medium-term underground mine production scheduling. Journal of The South African Institute of Mining and Metallurgy, 112 5: 365-378. Knights, Peter and Hood, Michael (2010) Coal and the Commonwealth: The greatness of an Australian resource. AusIMM Bulletin, 1: 48-50. Knights, P., Julian, F. and Jofre, L. (2006) Building business cases for maintenance improvement projects. AusIMM Bulletin, 6 November - December: 30-35. Knights, Peter F. (2006) Downtime priorities, Jack-knife diagrams and the business cycle. Maintenance and Asset Management, 19 4: 21-28. Knights, P. F. and Oyanader, P. (2005) Best-in-class maintenance benchmarks in Chilean open pit mines. The CIM Bulletin, 98 1088: 93-93. Knights, P. F., Louit, D. and Lay, A. (2004) Determining return on investment of maintenance projects using statistical cost modeling. Mining Engineering, 56 8: 33-39. Knights, P. F. and Boerner, A. L. (2001) Statistical Correlation of Off-Highway Tire Failures with Openpit Haulage Routes. Mining Engineering, 53 8: 51-56. Knights, P. F. and Daneshmend, L. K. (2001) Guest editorial. Journal of Quality in Maintenance Engineering, 7 4: 239-240. Knights, P. F. and Daneshmend, L. K. (2000) Open systems standards for computing in the mining industry. CIM Bulletin, 93 1042: 89-92. Hall, R. A., Knights, P. F. and Daneshmend, L. K. (2000) Pareto analysis and condition-based maintenance of underground mining equipment. Institution of Mining and Metallurgy. Transactions. Section A: Mining Technology, 109 JAN/APRIL: . Knights, Peter F. and Bonates, Eduardo J.L. (1999) Applications of discrete mine simulation modeling in South America. International Journal of Surface Mining, Reclamation and Environment, 13 2: 69-72. Knights, P. F., Henderson, E. and Daneshmend, L. K. (1996) Drawpoint control using radio frequency identification systems. CIM Bulletin, 89 1003: 53-58. Wilcock, Greg and Knights, Peter (2017). An approach for the through-life assurance of the technical integrity of impact bag inflators. In: 25th ESV Proceedings. 25th Enhanced Safety for Vehicles (ESV) Conference, Detroit, Michigan, United States, (). 5-8 June 2017. Wilcock, Greg and Knights, Peter (2017). Applying configuration management to manage the design and operation of critical mining systems. In: MINE Excellence 2017 Proceedings. MINE Excellence 2017: 2nd International Seminar on Operational Excellence in Mining, Santiago, Chile, (). 29-31 March, 2017. Wilcock, Greg and Knights, Peter (2017). Configuration management for the maintenance of mobile autonomous mining systems. In: Proceedings of the 14th International Congress on Mining Maintenance. 14th International Congress on Mining Maintenance, Santiago, Chile, (). 6-8 September, 2017. Knights, Peter (2016). Building resilient mining engineering programs. In: Society of Mining Professors 27th Annual General Meeting, Washington, DC, United States, (). 21-23 September 2016. Harrod, Jovan, Knights, Peter and Kizil, Mehmet S. (2016). Enhancing mining education through the use of virtual reality learning and assessment tools. In: Virtual Reality and spatial information applications in the mining industry conference. Virtual Reality and spatial information applications in the mining industry conference, Johannesburg, South Africa, (31-42). 15-16 July 2015. Soofastaei, Ali, Aminossadati, Saiied Mostafa, Kizil, Mehmet Siddik and Knights, Peter (2016). Reducing fuel consumption of haul trucks in surface mines using artificial intelligence models. In: Naj Aziz, Bob Kininmonth, Jan Nemcik, Ali Mirza, Ismet Canbulat and John Hoelle, Proceedings of the 2016 Coal Operators' Conference. 2016 Coal Operators' Conference, Wollongong, Australia, (477-489). 10-12 Feb 2016. Knights, Peter (2016). Strategies for successful campaign life assurance. In: Álvaro Endo, Víctor Vergara and Mallén Gajardo, Mapla-Mantemin Plant Maintenance Conference, Antofagasta, Chile, (). 7-9 September 2016. Dzakpata, Isaac, Knights, Peter, Kizil, Mehmet Siddik, Nehring, Micah and Aminossadati, Saiied Mostafa (2016). Truck and shovel versus in-pit conveyor systems: a comparison of the valuable operating time. In: Naj Aziz, Bob Kininmonth, Jan Nemcik, Ali Mirza, Ismet Canbulat and John Hoelle, Proceedings of The 2016 Coal Operators' Conference. 2016 Coal Operators' Conference, Wollongong, Australia, (463-476). 10-12 Feb 2016. Liang, X., Knights, Peter and Jessett, A. (2015). Optimization of Dragline Digging Sequence Using Genetic Algorithm. In: Sukumar Bandopadhyay, Application of Computers and Operations Research in the Mineral Industry (APCOM 2015): Proceedings of the 37th International Symposium. International Symposium on the Application of Computers and Operation Research in the Minerals Industry (APCOM), Fairbanks, AK, United States, (). 23-27 May 2015. Dean, M., Knights, P., Kizil, M. S. and Nehring, M. (2015). Selection and planning of fully mobile in-pit crusher and conveyor systems for deep open pit metalliferous applications. In: Third International Future Mining Conference. AusIMM 2015 3rd International Future Mining Conference, Sydney, NSW, Australia, (219-225). 4-6 Nov 2015. Soofastaei, Ali, Aminossadati, Saiied Mostafa, Kizil, Mehmet Siddik and Knights, Peter (2015). Simulation of payload variance effects on truck bunching to minimise energy consumption and greenhouse gas emissions. In: Naj Aziz and Bob Kininmonth, Proceedings of the 2015 Coal Operators’ Conference. 2015 Coal Operators’ Conference, Wollongong, NSW, Australia, (337-346). 11-13 February 2015. Pinto, Pablo E., Knights, Peter and Hine, Damian (2015). The design of publicly funded R&D consortia: preliminary learnings from a longitudinal field-case study. In: DRUID15 Conference on the Relevance of Innovation, Rome, Italy, (). 15-17 June, 2015. Are safe mines reliable mines? Knights, Peter (2013). Are safe mines reliable mines?. In: Víctor Babarovich, Álvaro Endo, Rodrigo Pascual and Raúl Stegmaier, MAPLA 2013: Proceedings del 10º Encuentro Internacional de Mantenedores de Plantas Mineras. MAPLA 2013: 10º Encuentro Internacional de Mantenedores de Plantas, Santiago, Chile, (36-46). 4-6 September, 2013. Knights, Peter (2013). Are safe mines reliable mines?. In: Víctor Babarovich, Álvaro Endo, Rodrigo Pascual and Raúl Stegmaier, MANTEMIN 2013: Proceedings del 8º Encuentro Internacional de Mantenedores de Equipos Mina. MANTEMIN 2013: 8º Encuentro Internacional de Mantenedores de Equipos Mina, Santiago, Chile, (34-44). 4-6 September, 2013. Godoy, D., Pascual, R. and Knights, P. (2013). Esquema integrado de decisiones para el manejo de repuestos criticos en contratos de mantenimiento. In: Víctor Babarovich, Álvaro Endo, Rodrigo Pascual and Raúl Stegmaier, MAPLA 2013: Proceedings del 10º Encuentro Internacional de Mantenedores de Plantas Mineras. MAPLA 2013: 10º Encuentro Internacional de Mantenedores de Plantas, Santiago, Chile, (80-88). 4-6 September, 2013. Costello, C. and Knights, P. (2013). Grizzly modifications at Ridgeway Deeps Block Cave Mine. In: Paul Hagan, Mining Education Australia Research Projects Review 2012. Mining Education Australia (MEA) Student Conference, Kalgoorlie, WA, Australia, (13-18). 12 October 2012. Paterson, W. and Knights, P. (2013). Management of trailing cables on electrically powered load-haul-dump units. In: Paul Hagan, Mining Education Australia Research Projects Review 2012. Mining Education Australia (MEA) Student Conference, Kalgoorlie, WA, Australia, (67-74). 12 October 2012. Liang, W., Zhu, Y. and Knights, P. (2012). Cultural challenges in Chinese/Australian mining mergers and acquisitions - a CEO's perspective. In: International Mine Management Conference 2012 Proceedings. International Mine Management Conference 2012, Melbourne, Australia, (251-260). 20-21 November 2012. Londono, Juan G., Knights, Peter and Kizil, Mehmet (2012). Review of In-pit Crusher Conveyor (IPCC) application. In: Proceedings of the 2012 Australian Mining Technology Conference. 2012 Australian Mining Technology Conference, Perth, Australia, (63-82). 8-10 October 2012. Pinto, Pablo Ernesto, Montecinos, Jorge, Pedrero, Filipe Valdebenito, Hine, Damian and Knights, Peter (2012). Speed, coordination and individualistic behaviors: an NK modeling approach to investigate the moderating effects of organizational structure on performance in individual firms. In: Proceedings: XLVII CLADEA Annual Assembly 2012. XLVII CLADEA Annual Assembly 2012, Lima, Peru, (297.1-297.17). 22 - 24 October 2012. Godoy, David, Pascual, Rodrigo and Knights, Peter (2011). Critical spare parts ordering decisions using conditional reliability and stochastic lead time. In: Victor Babarovich, Alvaro Endo, Rodrigo Pascual and Raul Stegmaier, Proceedings of the 8th International Mining Plant Maintenance Meeting (MAPLA 2011). 8th International Mining Plant Maintenance Meeting (MAPLA 2011), Antofagasta, Chile, (1-12). 7-9 September 2011. Knights, Peter (2011). Doing more with less: How to improve maintainance labour utilisation. In: Victor Babarovich, Alvaro Endo, Rodrigo Pascual and Raul Stegmaier, Proceedings of the 8th International Mining Plant Maintenance Meeting (MAPLA 2011). 8th International Mining Plant Maintenance Meeting (MAPLA 2011), Antofagasta, Chile, (1-9). 7-9 September 2011. Nel, S., Kizil, M. S. and Knights, P. (2011). Improving truck-shovel matching. In: Baafi, E. Y., Kinimonth, R. J. and Porter, I., Proceedings of the 35th APCOM Symposium. 35th APCOM Symposium, Wollongong, NSW, Australia, (381-391). 24-30 September 2011. Knights, P. and Liang, L. (2011). Mine data analytics - New skills required for tomorrow's mines. In: Saydam, S., Second International Future Mining Conference. Second International Future Mining Conference, Sydney, Australia, (69-74). 22 - 23 November 2011. Pinto, Pablo E., Hine, Damian and Knights, Peter (2011). Types and traps: R&D consortia and developmental pitfalls. In: DRUID Society Conference 2011. DRUID Society Conference 2011 on Innovation, Strategy and Structure - Organizations, Institutions, Systems and Regions, Copenhagen, Denmark, (). 15-17 June 2011. Nehring, M., Topal, E., Kizil, M. and Knights, P. (2010). An investigation to integrate optimum long-term planning with short planning in underground mine production scheduling. In: P. A. Dowd, Mine Planning and Equipment Selection – MPES 2010 Proceedings. MPES2010: Mine Planning and Equipment Selection, Freemantle, Western Australia, (141-153). 1-3 December, 2010. Autonomous surface mining equipment: is bigger better? Knights, Peter and Franklin, Dennis (2010). Autonomous surface mining equipment: is bigger better?. In: Paul Lever and Peter Knights, 2010 Australian Mining Technology Conference : "Technology changing the mining business footprint". 2010 Australian Mining Technology Conference, Perth, Western Australian, (1-8). 13-15 September 2010. Garcia, Jose, Juan Camus and Knights, Peter (2010). Creating competitive advantage in mining: An illustrative comparison with the oil industry. In: Raul Castro, Romke Kuyvenhoven and Xavier Emery, Proceedings of the 4th International Conference on Mining Innovation, MININ 2010. The Fourth International Conference on Mining Innovation, Santiago, Chile, (261-270). 23-25 June 2010. Shafiee, Shahriar and Knights, Peter (2010). Incorporating econometric price models in real options valuation of mining projects. In: Bevan B. Beamish, Michael D. Barr and Andrew Denman, Proceedings of the 2010 Australian Mining Technology Conference: Technology changing the mining business footprint. 2010 Australian Mining Technology Conference, Perth, W.A., Australia, (93-109). 13-15 September 2010. Knights, P. F. and Paton, S. (2010). Payload variance effects on truck bunching. In: Bob Adams, Mark Adams and Allan Blair, Proceedings of the Seventh Large Open Pit Mining Conference 2010. Seventh Large Open Pit Mining Conference 2010, Perth, W.A., Australia, (111-114). 27-28 July 2010. Li, Shuxing and Knights, Peter (2009). Application of Real Options in short-term Mine Planning and Production scheduling. In: Knights, Peter and Lever, Paul J.A., Technology solutions for challenging financial times. Australian Mining Technology Conference, Brisbane Australia, (168-176). October 27-28 2009. Bastock, M., Flynn, B. and Knights, Peter (2009). Applying Modular Transporters to Relocate Large Hydraulic Excavators. In: The Iron Ore 2009 Conference, Perth, Western Australia, Australia, (). July 2009. Juan Camus, Knights, Peter and Silvia Tapia Bosman (2009). Value Generation in Mining: A New Model. In: Knights, Peter and Lever, Paul J.A., Technology solutions for challenging financial times. Australian mining technology conference, Brisbane Australia, (189-200). October 27-28 2009. Knights, Peter, Opazo Fuenzalida, Cristian, Otto, Augustine and Erazo, C. (2009). Value trees: a new approach for process visualisation. In: Peter Knights and Paul J. A. Lever, Technology solutions for challenging financial times. Australian mining technology conference, Brisbane, Australia, (201-208). 27-28 October 2009. Knights, P., Opazo Fuenzalida, C., Otto, A. and Erazo, C. (2009). Árbol de Valor: Una nueva manera para visualizar los procesos. In: Adolfo Arata, Peter Knights, Romke Kuyvenhoven, Eduardo Nilo, Rodrigo Pascual and Raul Stegmaier, MANTEMIN 2009 IV Encuentro Internacional de Mantenedores Equipos Minas. MANTEMIN 2009 IV Encuentro Internacional de Mantenedores Equipos Minas, Antofagasta, Chile, (201-207). 4 - 6 November 2009. Bassan, J. and Knights, P. F. (2008). Applications of advanced analytics in minerals processing plants - Safer, smarter, sustainable operations. In: MetPlant 2008 - Metallurgical Plant Design and Operating Strategies - Proceedings. MetPlant 2008 - Metallurgical Plant Design and Operating Strategies, , , (461-473). August 18, 2008-August 19, 2008. Bassan, J., Srinivasan, V., Knights, P. and Farrelly, C. (2008). A day in the life of a mine worker 2025. In: Saydam, S., First International Future Mining Conference & Exhibition 2008. First International Future Mining Conference & Exhibition 2008, Sydney, Australia, (71-78). 19-21 November 2008. Bassan, J. and Knights, P. (2008). Applications of advanced analytics in process plants: Safer, smarter, sustainable operations. In: Proceedings of AusIMM Metallurgical Plant Design and Operation Strategies. AusIMM Metallurgical Plant Design and Operation Strategies, Perth, Western Australia, (1-14). August 2008. Knights, P. (2008). Economic models for unscheduled downtime and loss of service. In: 11th International Conference of Maintenance Societies (ICOMS 2008). 11th International Conference of Maintenance Societies (ICOMS 2008), Perth, Western Australia, (1-14). 26-28 May 2008. Adams, H., Boniwell, P. and Knights, P. (2008). Production drill optimisation at telfer underground - A move towards automation. In: Australasian Institute of Mining and Metallurgy, Tenth AusIMM Underground Operators' Conference. Tenth AusIMM Underground Operators' Conference, Tasmania, Australia, (37-40). 14-16 April 2008. Li, S. and Knights, P. F. (2008). Quantifying geological/geotechnical risk associated with coal reserves estimation. In: Peter Knights and Paul Lever, Smart technologies for sustaining the minerals boom. 2008 Australian Mining Technology Conference, Sunshine Coast, Australia, (191-199). 16-18 September, 2008. Rafie, K., Stewart, P. and Knights, P. (2008). Safe, rapid development through the application of systems engineering methods. In: P. Knights and P. J. A. Lever, Proceeding of 2008 Australian Mining Technology Conference. 2008 Australian Mining Technology Conference, Sunshine Coast, Australia, (223-244). 16-18 September, 2008. Bassan, J. and Knights, P. F. (2008). The application of advanced analytics in mining: Safer, smarter, sustainable operations. In: P. Knights and P. J. A. Lever, Proceeding of 2008 Australian Mining Technology Conference. Australian Mining Technology Conference, Sunshine Coast, Australia, (247-260). 16-18 September 2008. Li, J-Q., Mirchandani, P. and Knights, P. (2008). Water truck routing and location of refilling stations in open pit mines. In: P. Knights and P. J. A. Lever, Proceedings of 2008 Australian Mining Technology Conference. Proceedings of 2008 Australian Mining Technology Conference, Sunshine Coast, Australia, (141-156). 16 - 18 September 2008. Li, S., Valenzuela, P. and Knights, P. (2007). A risk management methodology for coal resources/reserves evaluation. In: M. Hood, P. Knights and P. J. A. Lever, Smart Technologies for Overcoming the Skills Shortage. 2007 Australian Mining Technology Conference, The Vines, Western Australia, (265-276). 2-4 October, 2007. Valenzuela, P., Li, S. and Knights, P. (2007). An approach to map geotechnical uncertainty in Longwall Coal Operations. In: M. Hood, P. Knights and P. J. A. Lever, Proceedings of the 2007 Australian Mining Technology Conference. 2007 Australian Mining Technology Conference, The Vines, Western Australia, (183-192). 2-4 October, 2007. Knights, P. (2007). Optimal replacement intervals for Shovel Dipper Teeth. In: M. Hood, P. Knights and P. J. A. Lever, Smart Technologies for Overcoming the Skills Shortage. 2007 Australian Mining Technology Conference, The Vines, Western Australia, (163-172). 2-4 October, 2007. Stewart, P. C., Ramezanzadeh, A. and Knights, P. (2006). Benchmark drill and blast and mechanical excavation advance rates for underground hard-rock mine development. In: M. Hood, P. Lever and P. Knights, Value through cost control. 2006 Australian Mining Technology Conference, Hunter Valley, NSW, (41-63). 26-27 September 2006. Knights, P., Jullian, F. and Jofre, L. (2006). Building business cases for maintenance improvement projects. In: International Mine Management Conference 2006. International Mine Management Conference 2006, Melbourne, Australia, (173-178). 16-18 October, 2006. Halatchev, R. A. and Knights, P. (2006). Geostatistical modelling of shovel performance using real-time monitoring data. In: Hood, Mike, Lever, Paul and Knights, Peter, 2006 Australian Mining Technology Conference:'Value through cost conrol". 2006 Australian Mining Technology Conference:'Value through cost control', Hunter Valley, NSW, Australia, (143-157). 26-27 September 2006. Knights, P. and Li, S. (2006). Short-term shovel sequence optimization - Problem definition and initial solution. In: M. Hood, P. Lever and P. Knights, 2006 Australian Mining Technology Conference "Value through cost control". 2006 Australian Mining Technology Conference "Value through cost control", Hunter Valley, NSW, Australaia, (385-394). 26-27 September 2006. Knights, P., Jullian, F. and Jofre, L. (2005). Assessing the Size of the Prize: Developing business cases for maintenance improvement projects. In: H. Gurgenci, M. Hood, P. Lever and P. Knights, Proceedings of the 2005 Australian Mining Technology Conference "new technologies to produce more with less. 2005 Australian Mining Technology Conference: New technologies to produce more with less, Freemantle, Western Australia, (151-164). 27-28 September 2005. Knights, P. F. and Luoit, D. (2005). The Reliability Improvement Diamond (RID): A Proven, Pragmatic Approach for Applying RCM in Plant with Operating Histories. In: Proceedings of: 9th International Conference Maintenance Societies ICOMS-2005. 9th International Conference Maintenance Societies ICOMS-2005, Hobart, Tasmania, (1-12). 31 May - 2 June 2005. Knights, P. F. and Shanks, D. H. (1990). Dragline productivity improvements through short-term monitoring. In: , , (100-103). .
2006 Australian Mining Technology Conference "Value through cost control "
2006 Australian Mining Technology Conference "Value through cost control " (2006) . Edited by M. Hood, P. J. A. Lever and P. Knights. 2006 Australian Mining Technology Conference "Value through cost control", 26-27 September, 2006, Hunter Valley, NSW, Australaia. Integrated Models for Critical Spare Parts Management in Asset Intensive Industries. Designing complex organizations for success and survival: A dual-method approach for studying relationships between organizational structure, innovation and performance from an evolutionary perspective. Mining of Shallow Water Coastal Mineral Sand Deposits: Dredge Mine Reconciliation.